The Director of Alumni Events at Seton Hall University, Jamie Cook, contacted us to create a custom aisle runner for their Awards Gala. 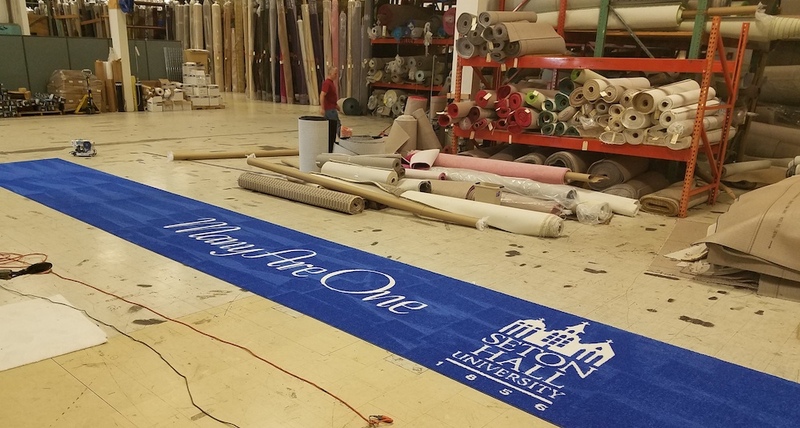 In addition to including the college logo and event name “Many Are One”, the rug had to be created in the Pantone 286 color blue. We thought this runner came out so well we added it to our gallery of logo rugs. If you’re interested in a logo rug for a special event, check our Logo Rug Gallery and give us a call.